With today’s high unemployment rate, low wages and high living costs, finding that much desired success is difficult to come by. Even those that have spent large amounts of money and multiple years of their life in higher education are hard pressed to find jobs and begin to lay claim to their portion of success. “53.6 percent, of bachelor's degree-holders under the age of 25 last year were jobless or underemployed, the highest share in at least 11 years.” (Yen 1). Now you must first understand that there is no flawless equation to success, and there are also many variables in obtaining it. However, whether you acknowledge it or not, the way you dress is a great way to boost your success in life. Regardless of what role you currently play in life, a poor college student, a stay-at-home mom, a middle-age dentist, or someone in the process of figuring it out, you are looking to either find and/or further your success. Many people in their search to find it focus on most of the right ingredients: Intelligence, ambition, carisma, etc. 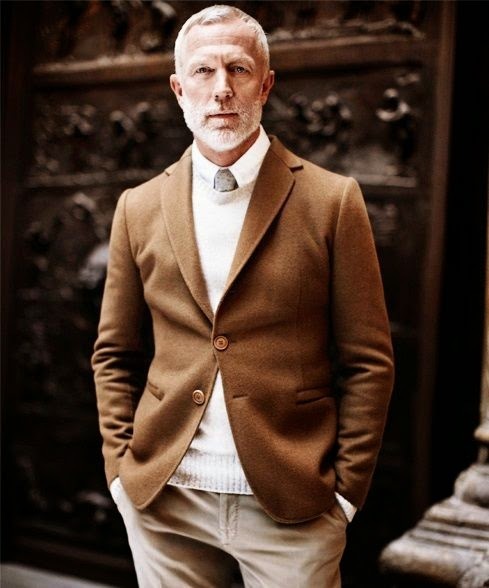 How you dress, however, is all too often overlooked. Although it may be wrong, stereotypes exist and many people believe them. Most, if not all, people fall into the trap of hasty judgement, myself included. Why do you think that is? Consider this experiment done by psychologists at the University of Kansas and Wellesley College. In a study of nearly 300 undergraduate students, 63 were shown photographs of shoes that belonged to the remaining volunteers, all of whom had filled out a survey about their personality traits. Scientists found that participants deduced the age, gender, income level, and agreeableness of others based on footwear alone, according to the article published in the Journal of Research in Personality. (Henderson 1). There is almost always a little bit of truth behind what you wear. That’s not to say that someone can deduce your entire character based on the clothes you put on that morning but there are a few details of your personality and character that are hidden in your attire. When you meet someone for the first time they make judgements based on what you are wearing. A certain percentage of that judgement is true, but the incorrect percentage of what people judge you to be based on your clothes can either be your downfall or you can use it to your advantage to get people to think of you the way you want them to. Quite simply, dressing for success makes a statement to the world that you have arrived, that you are a person of consequence who needs to be taken seriously. The flip side to this is that colleagues and clients often immediately dismiss those individuals who dress poorly. You only get one chance to make a first impression. (Schwartz 1). Again, judging someone based on their clothing alone is wrong, but it happens every day. I have had many clients say, “But I'm not the type of person that wears suits. Wouldn't that be a total lie for me to wear a suit to a job interview when I would never normally wear a suit?” The thing is, you're not lying to someone or misrepresenting yourself by wearing something that you would never typically wear. It's not about lying to a specific individual to trick them into giving you something you don't deserve, instead it's tricking their subconscious judgemental side so that they don't unfairly deny you something that you do deserve. The idea of dressing the part isn’t just for jobs. If used correctly your clothes can take you far and help you find success in many different aspects of life. It can even help boost your own feelings about yourself. You may have noticed that most people tend to dress the way they feel at that moment. If you are feeling down and gloomy chances are good that you are going to throw on a pair of sweats and stay inside. On the other hand, if you have been asked to interview for your dream job or you are expecting to bump into a romantic interest we can all assume that you are going to dress your best. Now imagine that on a gloomy day you decide to take time to dress nice, automatically your attitude for that day improves. When you dress nicely your confidence grows. Instead of letting how you feel determine the way you dress, take charge and dress yourself to match the way you want to feel. "It's called apparel or clothing therapy," explains Michael Cunningham, Ph.D., an associate professor of psychology at the University of Louisville. "If you look a certain way, you'll think a certain way, and then you'll act a certain way." (Jordan 1). To further the point, why do people take so much time to get ready for a date? It’s because they want to make a good impression. But then, shouldn’t we always strive to make a good impression? When someone dresses carelessly for the day it reflects an attitude of carelessness for that day. When someone decides that each day is a day to dress for the occasion it reflects an attitude of self-worth and a drive to make each day worthwhile. Either consciously or unconsciously, people notice if you have taken the time to dress well, and it can positively affect what they think of you and what you say. You can boost nearly anyone’s opinion of you just by knowing what to wear. Dressing well, however, isn’t always the easiest thing to do. “The secret to dressing a little better is simply this: You have to want to. If you don’t, it’s just not going to be a part of your life. And that’s not a terrible thing. Style is a gentle act of will.” (Esquire 16). But take heart- the fact is that you can put even the plainest man in a nice suit and he will unconsciously try and live up to it. Professional dress doesn’t have to be drab and boring either. 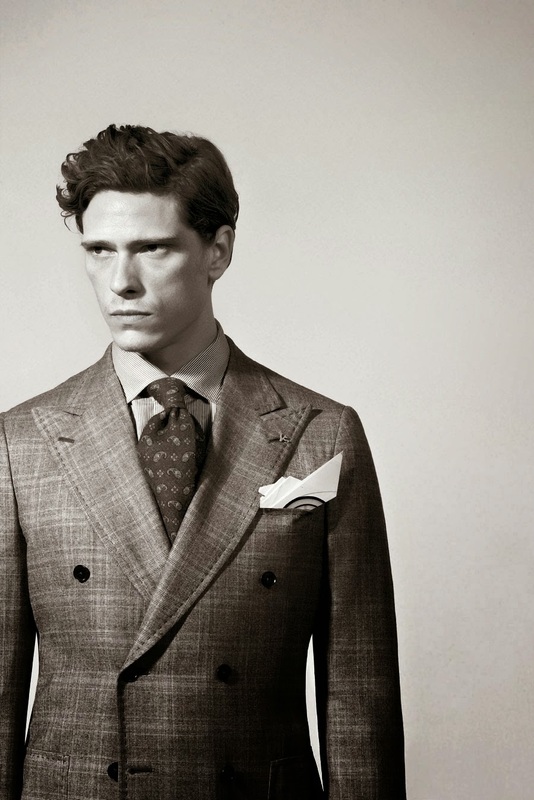 A suit can be tailored in literally thousands of different styles that all say different things about the wearer. Personality can still be shown in professional attire. A slimmer lapel and tie shows a younger more “hip” personality versus a wider lapel and a wide tie show a more serious traditional personality. Even little things such as a different color button hole or overlapping “kissing” buttons on a sleeve express someone who pays attention to detail. GQ explains how simply wearing cufflinks shows a unique personality. By the late 1900's, French cuff dress shirts were in the minority, replaced by the more cost-effective and understated button-cuff casual button-up. But the style wasn't completely removed from public consciousness as those that continued to sport cufflinks, did so proudly, instantly signifying a man of stature and importance. Nowadays, as formal attire is back on the upswing, cufflinks are experiencing a bit of a comeback, allowing men to show off a bit of attitude without becoming tacky. (Gallagher 1). Suits are just one example of how you can use dress to impact those around you. But in nearly every situation you find yourself, the right clothes can help you to stand out and be given a chance to be heard. Schwartz also explains that, “ this has become a growing concern among companies in every business category. It applies to all of us who would like to be taken seriously at work. Moreover, do not assume you are exempt if every day is "casual Friday" in your workplace. Every work environment calls for certain sartorial standards.” (Schwartz 1). Success in life can be interpreted in many different ways depending on who you ask.. It can be monetary, occupational, social, or personal. But we are all searching for our own success in this life. Remember, life is full of first impressions and the way you dress is the first step in making a really good first, second, and constant impression on those around you. If you want to get a job, dress like you want it. If you want to get good recommendations from your college professors, don’t go to class wearing a tanktop and gym shorts. Make every impression count. Look your best, and you’ll be your best. Esquire. The Handbook Of Style: A Man's Guide To Looking Good. New York: Hearst, 2009. Print. Gallagher, Jake. "Dropping Knowledge: Cufflinks: The GQ Eye: GQ on Style: GQ." GQ. N.p., 20 Sept. 2012. Web. 10 Mar. 2014. Gladwell, Malcolm. Blink: the power of thinking without thinking. New York: Little, Brown and Co., 2005. Print. Henderson, Jennifer. “Footwearology.” American Scholar 82.1 (2013): 17. Academic Search Premier.Web. 6 Feb. 2014. Jordan, Niema. “Boost Your Feelings With Fashion.” Essence (Time Inc.) 42.5 (2011): 203-204. Academic Search Premier.Web. 6 Feb 2014. Schwartz, Bobbi. “Dressing The Part.” USA Today Magazine 142.2820 (2013): 40-41. Academic Search Premier.Web. 6 Feb. 2014. Yen, Hope. "Half of recent college grads underemployed or jobless, analysis says."cleveland.com. Associated Press, 23 Apr. 2012. Web. 28 Apr. 2014.